Origin bi-fold doors open wider than other styles to create outstanding panoramas. This design of door excels at letting in light and fresh air - and will keep the outside in view all year round. A great deal of care and attention goes into the creation of the stunning bi-folding doors that we install for our customers. The aluminium bi-fold doors we install are manufactured by Origin, a recognised market-leader in their specialist field. These are doors designed to complement any property – whatever its size, age or type. Unlock the potential in your home by talking to Fox Windows & Doors today. Better views, improved light transmission and a warmer home are just a few examples of the benefits that come as standard with our Origin bi-fold doors. If you live in Kenilworth, Warwickshire, Leamington Spa or the surrounding areas and are interested in our aluminium folding doors, contact us or get an online quote today. 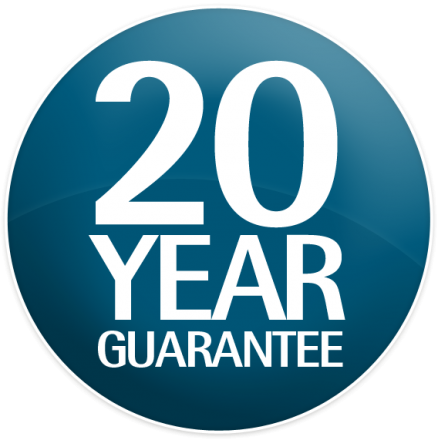 We offer our customers superb quality and a 20 year guarantee, so you can rely on us. Origin aluminium bi-fold doors are thermally efficient and tested to ensure the best quality and long-term value. Built in the UK, these doors are thoroughly tested before they leave the factory - so you can be sure that the double glazing we install is of the highest standard. There really aren’t any weak points. Find out more by contacting our team today. Build your Origin bi-fold doors your way, We can customise your product to suit your preferences by accessing a 150 RAL colour pallette. Finding a shade that suits your planned scheme will be easy. Different hues can be used internally and externally - giving you total control over the eventual look of your newly-installed folding doors. You’ll be in complete control throughout the design process. Your aluminium Origin bi-fold doors can include anything from 1-8 door leaves and a range of sizes and configuration options will be available too. We’ll be able to talk you through different threshold options to improve access and introduce you to a wide range of hardware and accessories. Origin doors aren’t just secure - they’re safe too. Finger safe gaskets built into the profile of your aluminium bi-fold doors will stop injury caused through improper operation. Threshold options can also be chosen to make accessing and leaving your home easy and hazard free. Everyone will be able to visit you and enjoy your beautiful bi-fold doors. Your Origin bi-fold doors will be easy to operate. The smooth movement of these doors is delivered by way of hidden wheels that operate along a dedicated track. Back and forth movement is also extremely quiet. To appreciate its quality, you really need to try it. Why not ask us for demonstration when calling our team for information! Although your new Origin aluminium bi-fold doors will open your home to the outside, they won’t let intruders in. Your installation will meet PAS 24 standard and protect you using a combination of carefully designed locks and hinges. The cylinder in your doors is extremely secure - stopping unwanted visitors in their tracks. The aluminium bi-folding door system from Origin that we install opens to almost the total aperture width. You’ll be able to enjoy almost unbroken panoramas of your garden all year round and, even when your concertina doors have been closed, the outside will still feel within reach. This really is a door that can be used for all seasons. If you would like to protect your home from the natural light and enhance your privacy, we also offer integral blinds for bi-fold doors. Another remarkable feature of our Origin aluminium bi-fold doors is that they run along a track, instead of opening inward. If space is limited, you’ll still be able to place furniture close to the threshold without worrying about it being knocked. Organise your home space your way with interior or exterior folding doors. Because our Origin bi-fold doors can be fully opened, you’ll be able to let lots of fresh air into your room. This will be refreshing during the summer months; it will also stop damp-related problems like mould and condensation from occurring. Choose a door that’s both stunning and practical with Fox Windows & Doors. The aluminium bi-fold doors installed in your home will include a polyamide thermal break. This will prevent warm air from escaping. It will also work to stop cold draughts at the threshold. Enjoy a room that’s designed for 24/7 living when you ask Fox Windows & Doors to install your new Origin aluminium doors. Origin bi-Fold doors will make your safer, warmer and more secure - all while improving your home's kerb appeal. Design your bi-folding doors online to get a quote. If you are looking at enhancing your property in Kenilworth, Leamington Spa, Warwickshire and surrounding areas with a set of Origin bi-fold doors, you can use our online design tool to generate a guide price including installation. Alternatively, contact us for technical information or to book an appointment. We will also be able to provide you with an Origin aluminium bi-folding door quote by phone.